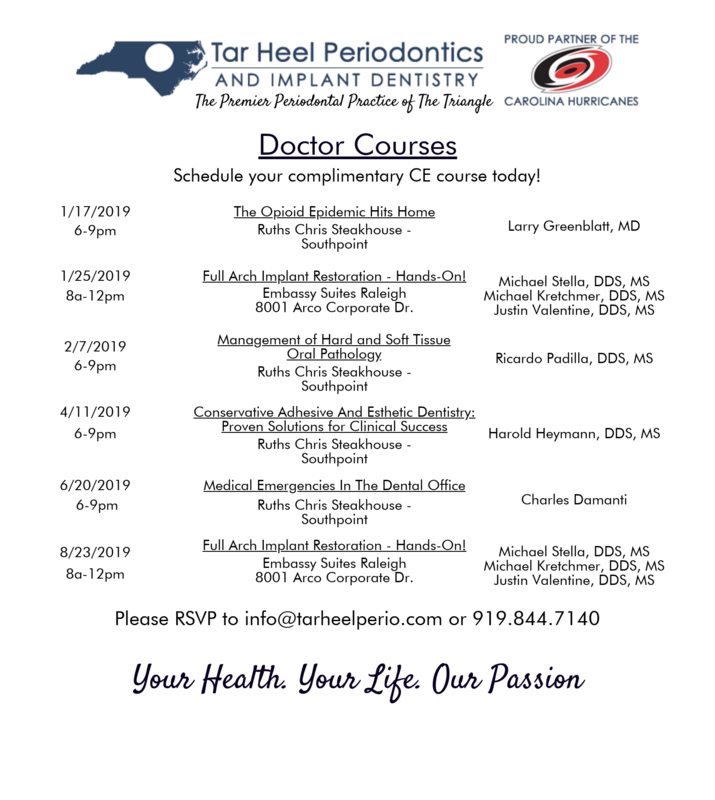 At Tar Heel Periodontics and Implant Dentistry, we are happy to announce our new complimentary continuing education and event schedule. 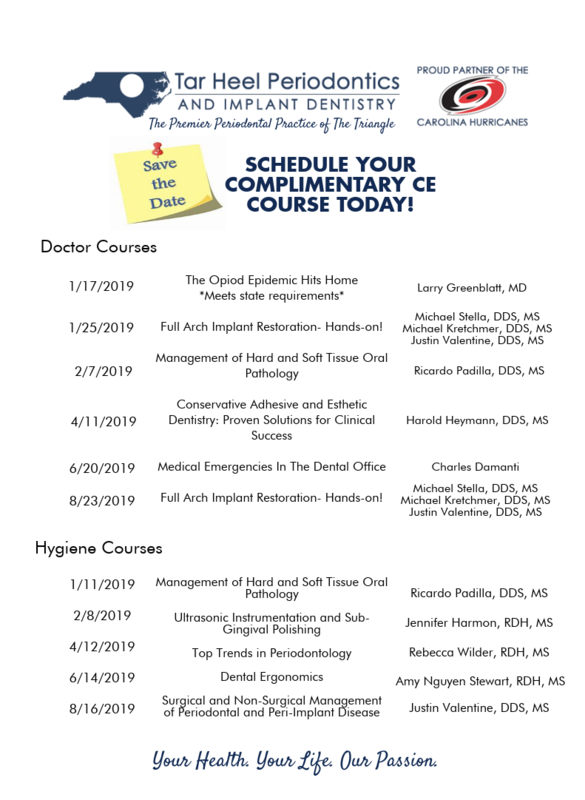 Click here to download our Continuing Education and Study Club Events for doctors. 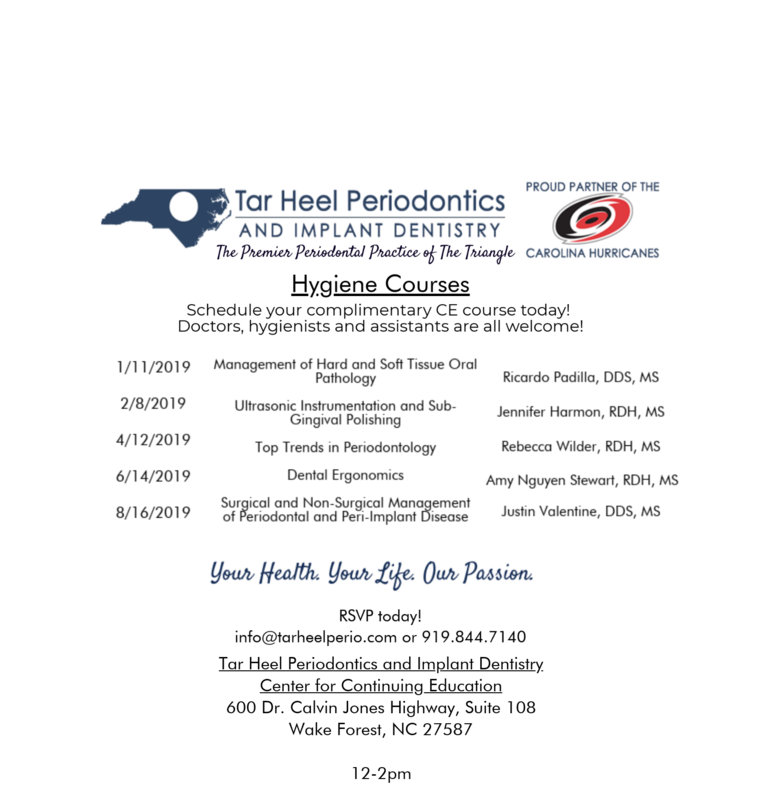 Click here to download our Continuing Education and Study Club Events for hygienists. *Dentist dinner event locations vary; please make sure to check description for location. Full Arch implant Restoration - Hands On!